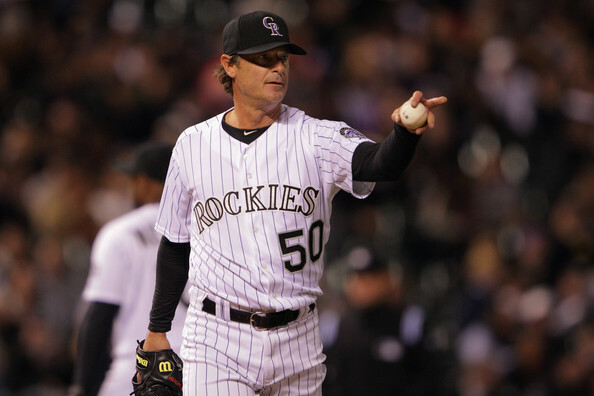 When Jamie Moyer became the oldest pitcher to win a game many joked about a 49 year old baseball player being successful. After all the guy throws 78 mph it can’t be that hard to hit it. Well apparently plenty of fans of the Class-A level Fort Myers Miracle are finding out that 78 mph is pretty darn fast. In a current promotion the team has challenged fans to throw faster then 78 mph. Thus far over 85 fans have tried to top Moyer’s fast ball. All have failed. The Miracle charges fans $1 for three throws to try to exceed the radar reading from Moyer’s victory last week against the San Diego Padres, making him the oldest pitcher to win a major-league game. “I think some people look at the majors and they see guys throwing 90 and above, and they think 78 is super slow. But not a lot of people can throw 78 if they’re not baseball players,” Gary Sharp, the Miracle’s director of media relations and promotions, told the FoxSportsNorth in Minneapolis-St.Paul. I suppose this promotion pokes fun at anyone who sits on the couch and comments that playing professional sports is so easy that they could do it. In case you are wondering the promotion will run the full season. Topping 78 mph earns you free tickets to a game, failing earns you the shame of knowing that Jamie Moyer throws harder then you. Yankees, Tigers both in on Bonderman?